It got cold the other day. Really, properly cold for the first time this fall. I was out shopping with Ivy, and in the transition from the car to the store there was enough time for the chilly wind to blow back her short little baby-hair while she spluttered and twisted her face and tried to hide from it. She doesn’t have a hat, I realized. How ridiculous. We’ll have to fix this immediately. While I was in the store I ran across some Lion Brand Heartland – it’s acrylic, but soft, with a nice heathered depth to the colors – and I picked some up. Here’s what I came up with. The pink and purple made me think of Pygmy Puffs and I just rolled with it! I like it. It’s cute. But it’s a bit too big. When she tips her head back and behind her (you know, to see what’s on her head) it slides off. 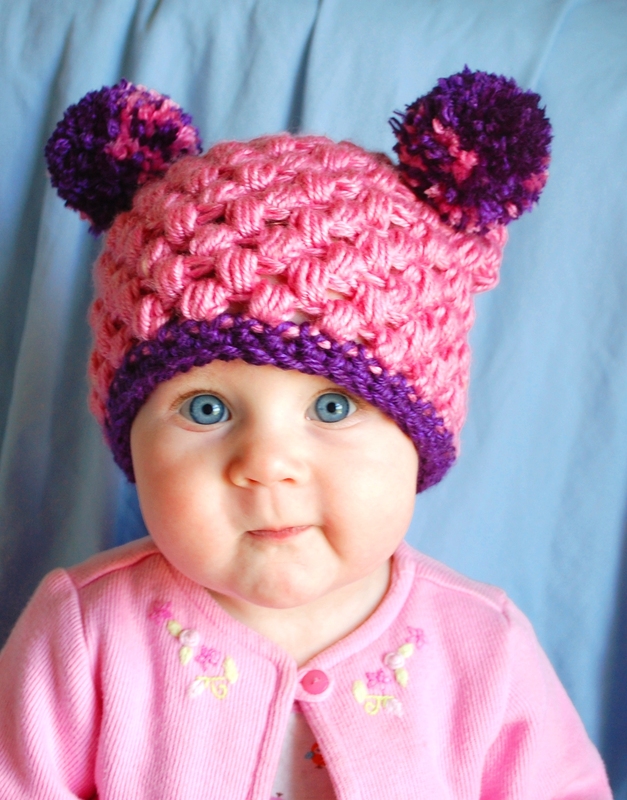 I tried it on my niece, though – she’s 18 months old – it fit just right. So I think I’ll have to make a smaller one for now. Still – cute! Cute as can be! And guess what – I wrote up the pattern! 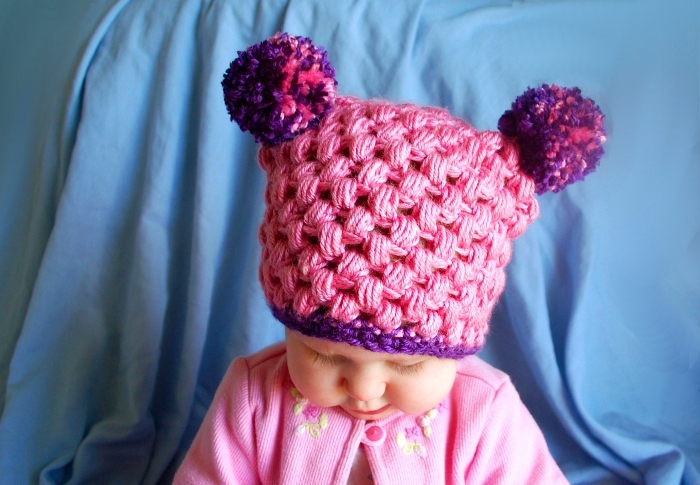 In fact, I wrote it up, resized it, and packaged it so if you are interested in making one of these hats for a newborn, baby, toddler, child or adult, you can purchase the pattern here! The cutest little girl. At first I thought she was a doll! Beautiful blue eyes. 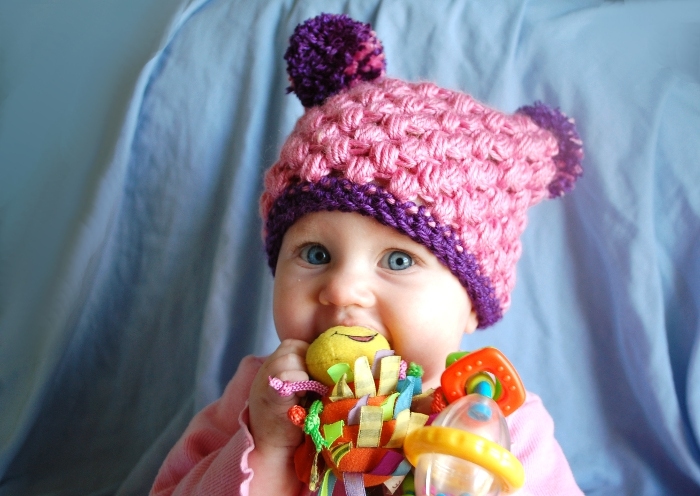 Love that hat.